Back in stock for the holidays. The simplest and most effective single dose solution for adrenal issues.. I developed this product for those suffering with fatigue, chronic aches & pains,burnout, anxiety and adrenal issues. Just 1 or 2 in the morning will improve your energy, mood and sleep. Type is ‘ZODKOY” and receive 25% off , limited time offer. Please only order 2 bottles .. let others experience the benefits. The most common question I get asked is what are the basic nutrients I should be taking to help with my Adrenal Fatigue, Burnout, or Chronic Fatigue. All three of these conditions have a common core issue, the adrenals are overwhelmed and the fight-or-flight mechanism has become dysfunctional. The most basic nutrients to take are; Alpha Base Foundation Pak a multinutrient chosen for its quality, effectiveness, and ease of absorption, it can be taken any time of the day. Adren-ALL the highest quality glandular support and the most potent product to rebuild the adrenals, best taken in the morning. 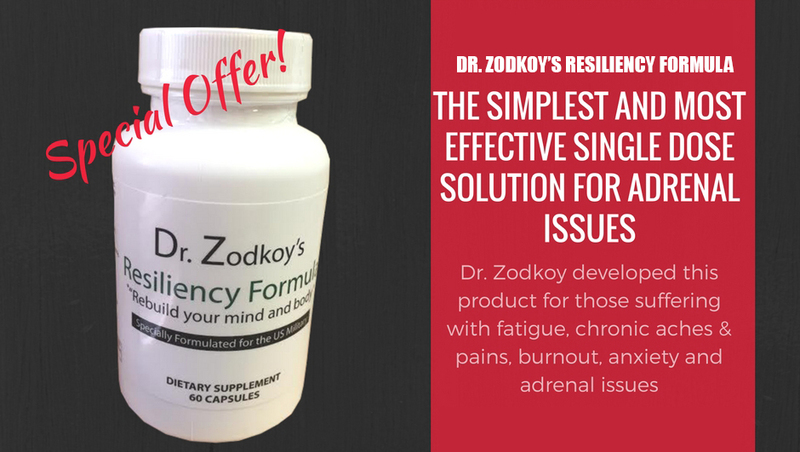 Adrenal Response Complete Care a comprehensive adaptogen product designed to balance the adrenals response to stress and help with the mind-body connection. Together these products will allow the adrenal to rebuild and re-balance.